Attention is one of the major components of memory. Before you study for your next exam, you might want to use a few strategies to boost your memory of important information. There are a number of tried and tested techniques for improving memory. These strategies have been established within cognitive psychology literature and offer a number of great ways to improve memory, enhance recall and increase retention of information. 1. Focus your attention on the materials you are studying. Attention is one of the major components of memory. In order for information to move from short-term memory into long-term memory, you need to actively attend to this information. Try to study in a place free of distractions such as television, music and other diversions. 2. Avoid cramming by establishing regular study sessions. According to Bjork (2001), studying materials over a number of session’s gives you the time you need to adequately process the information. Research has shown that students who study regularly remember the material far better that those did all of their studying in one marathon session. 3. Structure and organize the information you are studying. 4. Utilize mnemonic devices to remember information. Mnemonic devices are a technique often used by students to aid in recall. A mnemonic is simply a way to remember information. For example, you might associate a term you need to remember with a common item that you are very familiar with. 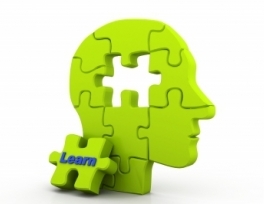 The best mnemonics are those that utilize positive imagery, humor or novelty. You might come up with a rhyme, song or joke to help remember a specific segment of information. 5. Elaborate and rehearse the information you are studying. 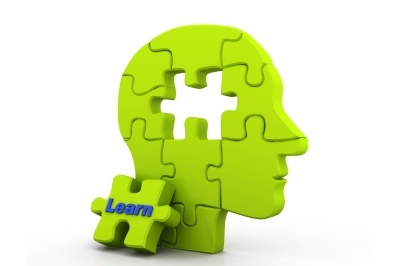 In order to recall information, you need to encode what you are studying into long-term memory. One of the most effective encoding techniques is known as elaborative rehearsal. An example of this technique would be to read the definition of a key term, study the definition of that term and then read a more detailed description of what that term means. After repeating this process a few times, your recall of the information will be far better. 6. Relate new information to things you already know. 7. Visualize concepts to improve memory and recall. Many people benefit greatly from visualizing the information they study. Pay attention to the photographs, charts and other graphics in your textbooks. If you do not have visual cues to help, try creating your own. Draw charts or figures in the margins of your notes or use highlighters or pens in different colors to group related ideas in your written study materials. 8. Teach new concepts to another person. 9. Pay extra attention to difficult information. Have you ever noticed how it’s sometimes easier to remember information at the beginning or end of a chapter? Researchers have found that the position of information can play a role in recall, which is known as the serial position effect. While recalling middle information can be difficult, you can overcome this problem by spending extra time rehearsing this information or try restructuring the information so it will be easier to remember. When you come across an especially difficult concept, devote some extra time to memorizing the information. 10. Vary your study routine. Another great way to increase your recall is to occasionally change your study routine. If you are accustomed to studying in one specific location, try moving to a different spot to study. If you study in the evening, try to spend a few minutes each morning reviewing the information you studied the previous night. By adding an element of novelty to your study sessions, you can increase the effectiveness of your efforts and significantly improve your long-term recall. What Do You Know About Your Baby’s Nutrition?